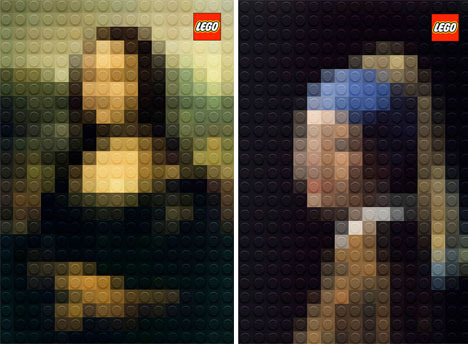 Chances are, you recognize these images, even though they’re simply arrangements of a few dozen colored LEGO bricks. 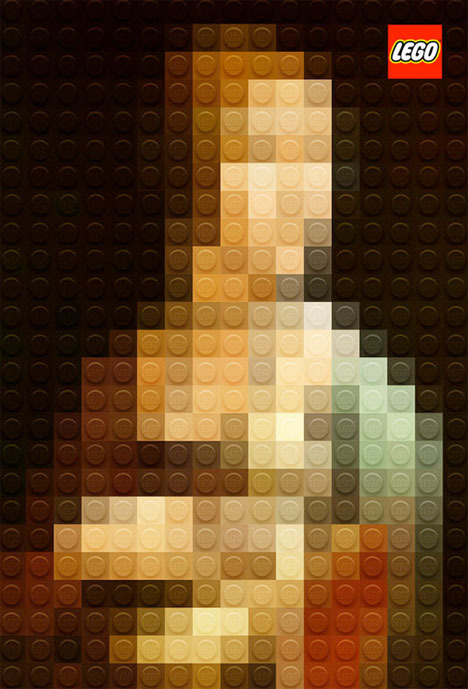 Squint your eyes, and three of the world’s most famous masterpieces come into hazy pixelated focus, your memory filling in the details that can’t be rendered in this form. 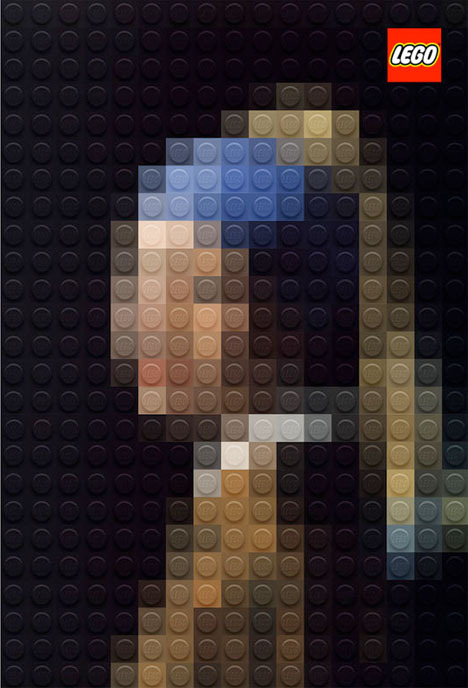 Italian designer Marco Soldano interpreted two works by Leonardo da Vinci and one by Johannes Vermeer using official LEGO blocks. 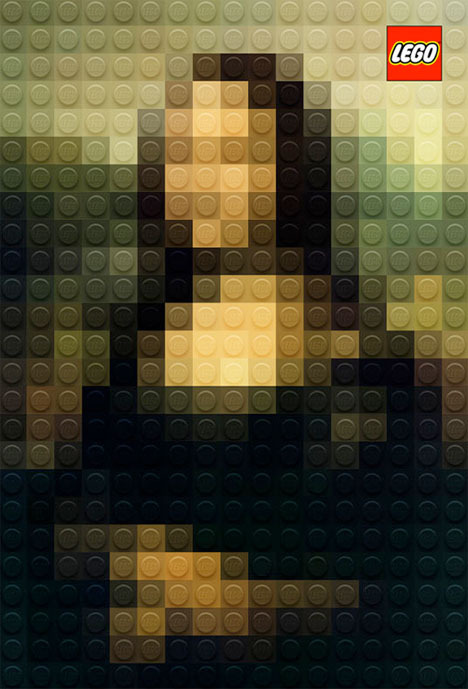 “All the children are authentic artists with LEGO,” he says. The works, of course, are (from top to bottom) the Mona Lisa, The Girl with a Pearl Earring and Lady with an Ermine. Subtle variations in tone suggest the highlights and shadows, the folds of fabric, the mountain landscape, even the subtle twist of the third subject’s posture.